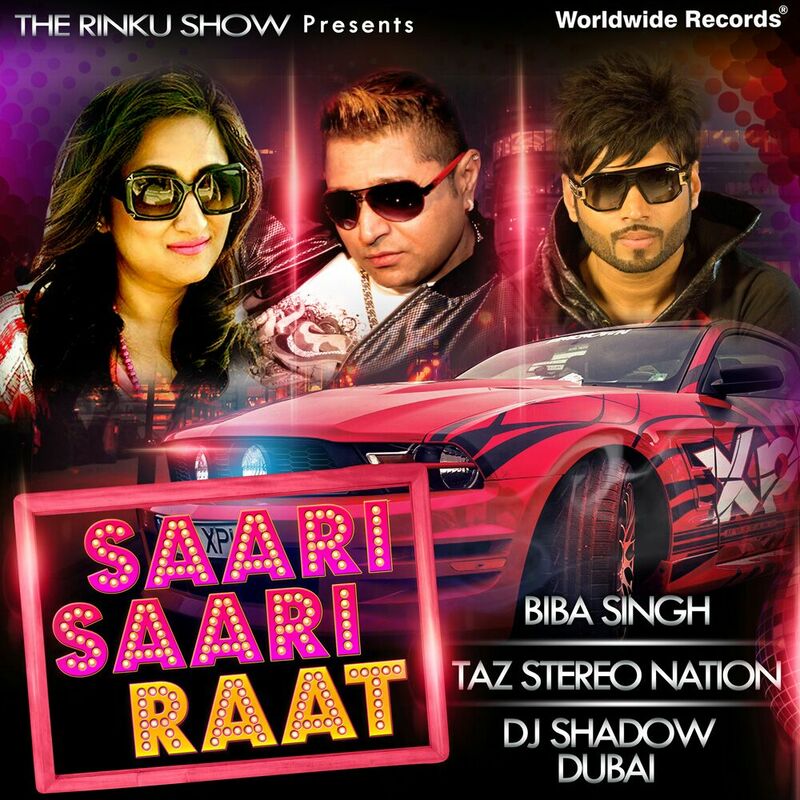 Worldwide Records releases New Single “Saari Saari Raat” by Biba Singh in Collaboration with TAZ -Stereo Nation and DJ Shadow Dubai. The Trio are making waves with their new single “Saari Saari Raat”, all ready to rock the dance floors this party season. The song also has a video shot in New York and captures the essence of the party mood. This song caters to India as well as international markets as it spans talent from the USA, UK and Dubai with origins in India.The single is slated to release mid-November and will be available worldwide on all leading digital stores. An exotic location, catchy lyrics, refreshing music, talented dancers and an extraordinary crew; isn’t it the definition of chart buster singles? I guess it is. The singles featuring the three maestros has definitely become the best selling singles of the year 2015-2016. I may be slightly biased while saying- Singer, Performer and Model “Biba Singh” is an incredibly talented, driven, and captivating artist, and if you haven’t already heard her voice, I urge you to do that NOW! 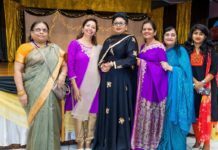 Biba Singh New York based Doctor and Singer, born and raised in New York was always passionate about culture and music and sang Shabad Kirtan at the local Gurudwara from a young age. She was then spotted by Bollywood legendary singer Daler Mendhi who advised her to take her singing career seriously. 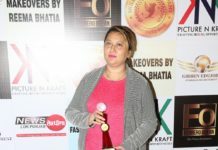 It was her dear family friend Mika Singh who launched her first album “BIBA” by Worldwide Records in 2011 and her second album “Biba for You” was launched by the legendary Bollywood king BappiLahiri. 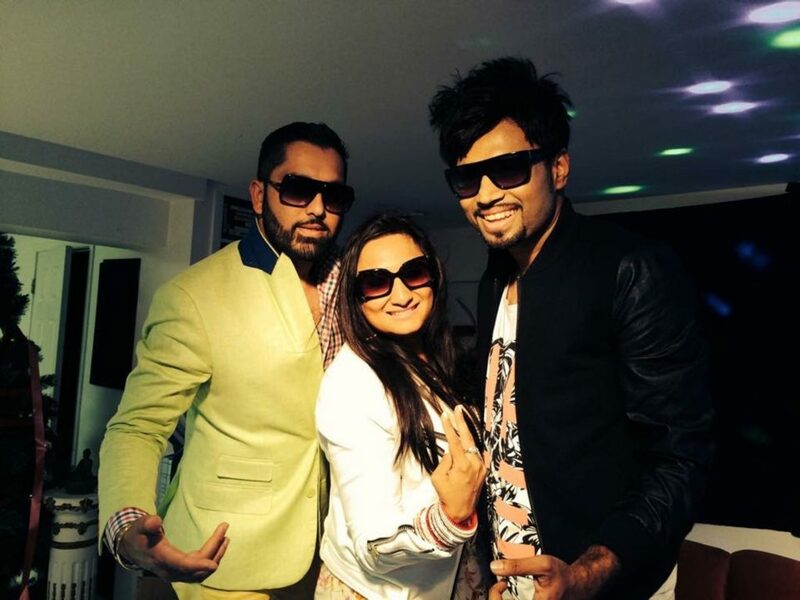 Biba has a number of successful releases including “NachKe Dikha”, “Akhian”, “DilLeja”, “Hogayi High” and “Kangna”. She will now get you dancing with her new hit “Saari Saari Raat”. Taz (Stereo Nation) a British singer, composer and actor of Indian descent. He is the lead singer of the pop band Stereo Nation which was formed in 1996. Formerly known as Johnny Zee, he is credited with being the pioneer of cross-cultural Asian fusion music. Some of his most well-known hit songs include “Pyar Ho Gaya”, “Nachenge Saari Raat” and “Gallan Gorian”. To date, all but two of his albums have received gold platinum and multi-platinum discs. In 2005, he won “Best International Artist” at the UK Asian Music Awards. DJ Shadow Dubai is a multiple award winning superstar Bollywood DJ; and has officially remixed for the likes of Jay Sean, Yo Yo Honey Singh, Jazzy B and more. Over the last couple of years, DJ Shadow Dubai has performed to thousands of crowds around the world in over 500 shows. 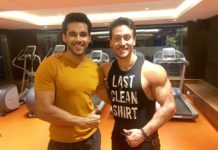 He has also recently featured in the soundtracks of Bollywood movies including Aashiqui 2 & Zid.